Copyright & Revisions: Copyright © 1999. Reformatted in 2013. Minor revisions made to text. Publication History: Originally published in the Proceedings of the 13th Annual International Conference on Outdoor Recreation and Education. Original Citation: Watters, R. (1999). The common adventure model of outdoor programming: Philosophical foundations, definition and the effect of filtering. In Harwell, R. & Emmons, K. (Eds.). Proceedings of the 13th International Conference on Outdoor Recreation and Education (pp. 95-113). Boulder, CO: The Association of Outdoor Recreation and Education. I believe that I probably know the common adventure concept of outdoor programming as well as anyone. I have been taking out common adventure trips for 29 years. For 25 of those years, I have either been the associate director or director of a university program which is closely associated with it. Time enough, I decided, to revisit the concept's origins and take a close look at it. I started with a fairly comprehensive review of all the past literature which I report on in a previous paper (Watters, 1999). From a review of the literature, I hoped to get a clear picture of how it evolved and changed, and, if appropriate, make an attempt to re-define it in more contemporary terms. But as I got deeper into the literature, I realized a fundamental question had never been answered—quite a fundamental question actually: what exactly is common adventure? Certainly, one of the early advocates of common adventure would have written a good descriptive paper about it. Yet, what I found was surprising and a bit alarming for one that had embraced the concept in my life's work. No one had ever carefully defined exactly what common adventure was. Of course, the early common adventure advocates such as Gary Grimm and H. Hilbert wrote about it, but mostly they covered the concept as incidental to descriptions of how their college outdoor programs operated. When I pointed out the fact in an interview (October 7, 1999) with Steve Leonoudakis (Director of Outdoors Unlimited at University of California-San Francisco) who at one time was very involved in common adventure style trips, he agreed saying that part of the common adventure mystic was that "it was completely mutable." Leonoudakis was on to something. Because of a lack of a clear definition, it was applied differently from program to program. Moreover, I found that the concept was also altered by another and sometimes sinister force that those of us involved in common adventure programs might find astonishing. We always thought of ourselves committed to a form of outdoor education based on lofty goals: concern and empathy for others, independence, non-commercialism, simplicity, and positive reinforcement. Most of us never realized that a good part of how it was applied was determined by a less lofty and more selfish goal of protecting one's rear end from a law suit. Some of what was held as tenants of the common adventure philosophy wasn't philosophy at all, but rather weak theoretical applications of law and in some cases, downright misinterpretations of it. But more about this later. Let's return to the problem of the concept's definition. On one hand it does seem strange that no clear writing exists on common adventure since, although it may not be universally endorsed, it is nevertheless accepted by outdoor education professionals as one of the ways of organizing trips. Yet on the other hand as one thinks about it from a wider perspective, the unclear meaning is not as surprising as it first appears, for academics and practitioners still struggle with clearly defining other aspects of every day programming. Outdoor education is, after all, a very young field. We are only now beginning to come to grips and understand everyday programming concepts and procedures which have been accepted as routine but have never been fully analyzed. And so it is a central purpose of this paper to make an effort to define the concept and construct a common adventure model. It is also my intent to look at the way in which the common adventure philosophy is changed by the use of what I call filters. Filters can have beneficial effect in adapting outdoor education models for a particular application, but they can also have a detrimental effect. Applying them carelessly can change the model so that its original purposes are lost, and applying them too severely can alter it so much that the concept is no longer practical. To develop a definition and model of common adventure, it is necessary to begin with its philosophical foundation. What is common adventure boiled down to its most basic principles? What are the primary individual, social and environmental values which make up its foundation? Once the underlying values are in place, they can be used as building blocks to construct a model of the concept. As in building construction, starting with a proper foundation, of course, is essential since everything follows from it. Thus, I've been careful to limit the list to values which were important in its early development and have remained important, and those which have become obvious through the passage of time. Source material and the process by which the list was developed has been included in the appendix. Independence & Personal Responsibility. Society benefits when people think for themselves, are free to express their ideas, and accept personal responsibility for their actions. Simplicity. Simplicity in organizational make-up and structure is efficient and productive. Creativity. New ideas and creativity flow from groups in which individuals are free to express themselves. Ownership. Individuals within groups feel the greatest amount of satisfaction when all members are integrally involved in the process of working towards goals. Concern, Fairness, Empathy and Openness. Humankind benefits when people have concern for one another, when they remain open to the ideas of others, when they treat each other fairly, and when they look beyond self-interest and empathize with another's point of view. Self-directed Learning. Success and satisfaction in life favors those who are curious, entertain new ideas, and are self-directed in their learning. Cooperation and Teamwork. Cooperation and teamwork skills are vital to success in life. Interactivity. The best form of learning and the highest degree of satisfaction from accomplishment occurs when individuals are actively involved. Physical Activity. Physically active and strenuous outdoor activities are indispensable for an individual's health and well-being. Low Cost. Maximum access to the outdoors is afforded through free or low cost experiences. Non-commercialism. Individuals benefit by having a respite from pervasive commercialism. Horizontal Structure. People perform best, have more ownership and care more about mutual goals when in horizontally structured groups. Emphasis on Democratic Ideals. Participatory decision making and consensus building is superior to authoritarian and dictatorial systems. Positive Reinforcement. Learning is best when accompanied with positive reinforcement rather than negative inducement. Participatory Safety. Overall safety is increased when all members of the group participate in watching out for one another. Care of the Natural Environment. The natural environment is precious and all individuals need to contribute in caring and protecting it. Many of the values listed above are important in other outdoor programming systems. For example, in guided trips, concern for the welfare of paying clients is of utmost importance—and so is the care and protection of the natural environment. In both of these, and perhaps other values, the two approaches hold common ground. One area, however, in which the two approaches differ in their value systems is that of cost. One of the primary needs of the owner of a guided company is to make money for her livelihood and that of her employees. Therefore, guided trips will cost more. Moreover, at least some commercialization of the experience (advertising and promotion) will be necessary to maintain a client base. From the perspective of a guide, however, all of these are important values. Nothing is wrong with making a living and wanting to support one's family. While they have different values, the two programming styles can live side by side. In fact, a number of individuals who have been involved in common adventure have worked in the guided field. 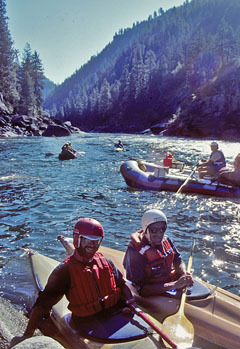 H. Hilbert, one the early proponents of common adventure, also worked many years as a whitewater guide, and recognized the benefits of both approaches. What is important is that we understand that the two systems are built on different value systems. The same comparison can be made with other approaches. For instance, adventure education has been identified by Guthrie (1997) as a distinct model or approach to outdoor programming. Quite a number of shared values exist between common adventure and adventure education: cooperation, creativity, interactivity, empathy, care of the natural environment, independent thinking, and physical activity among others. In fact, the adventure education model probably has the closest match in its value system to common adventure. Still, there are differences in the underlying values between common adventure and adventure education. There may be higher costs involved such as the tuition charged by such adventure education school as Outward Bound and National Outdoor Leadership School. They often have paid leaders which may incorporate participatory decision making, but nevertheless, still hold ultimate control of the group's direction. Because the leader is directing the trip, it would also follow that there is less overall ownership by individual members of the group. Yet, adventure education can provide benefits that common adventure can't. 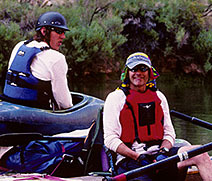 Because of stronger, more authoritarian leadership, adventure education programs can use carefully structured teaching sequences (which is contrary to common adventure's self-directed learning style) and are likely to have faster rates of learning when dealing with basic skills: teaching people how to roll a kayak, how to use a compass, or how to build an igloo. Adventure education is far more effective with specialized groups of participants, such as inner city youth-at-risk. The leaders can plan activities which are designed to promote self-confidence and self-esteem with the desired result of making a difference in the lives of youth when they return to the city. Try using a common adventure approach with a group of inner city teens, and it's likely that anarchy would result. Other comparisons can be made, but let's move on. If we restrict ourselves to the above list, and establish it as a philosophic base from which to work, then a particular style of doing outdoor trips emerges. Since ownership is an important part of the underlying value system, trips are structured in our model so that participants are interactive and intimately involved in organizing and running the trip. That would mean they help in the planning, organizing, cooking, washing, and cleaning up afterwards. By their intimate involvement, the participants become the trip. On a practical level, some type of pre-trip involvement is necessary. A planning meeting is held so that all members understand what the trip involves, and understand its goals and the risks. At the planning meeting, the group—not one individual—hashes out the wheres, whens and whats of the trip. The success or failure of the trip, then, rests in the hands of the group and not the person who initiated the idea or the sponsoring club or institution (if there is one). In doing so, members of the group are taking responsibility for the trip and responsibility for each other. The trip environment is one of concern for all members of the group. Fairness and free and open discussion are fostered. Individuals in the group are encouraged to think independently for themselves and freely express their ideas, but independence is tempered by empathy for the other members of the group. Because everyone can express their ideas, the group is more creative, drawing from the talents of all of its members. The type of trip selected involves physical activity such as hiking, paddling, skiing, climbing and not passive motorized activities. An attempt is made by the group or sponsoring club or institution (if there is one) to keep things simple. Rules—other than those important to the group's safety—procedures, extraneous structure and other bureaucratic barriers to participation are minimized as much as possible. Groups are structured horizontally so that all members share in decision making. Decisions are made by consensus in a democratic manner. Top-down leadership is generally avoided unless, perhaps in an emergency, it is necessary for the concern and well-being of the group. Within the horizontal structure, leaders—those who can help move the group towards its goals—emerge. By involving everyone and accepting the emergence of leaders, the group is able to tap all of its resources, making it more creative and stronger than if one person made all the decisions. Independent thought is encouraged during decision making, but once consensus is reached, the group comes together as a team and works cooperatively to achieve the common goal(s). All members of the group pitch in and help, and because of empathy for one another, responsibilities are spread out among the group as equitably as possible. Free and open discussion promotes cooperation and equitable sharing. With an emphasis on openness and personal responsibility, all members of the group contribute to process of making the trip safe, watching out for each other's welfare. Since simplification and the desire to provide an alternative to commercialization is a part of the underlying value system, the trip is structured so that no entities or individuals benefit monetarily. Thus, in the model no trip fees go to the sponsoring club or institution (if one exists), nor would they go to any individual on the trip. By combining together in groups, trip costs are spread out and costs stay low. Learning which occurs on the trip is experiential: learning by doing. When appropriate, knowledgeable members share their knowledge and skills with those less skilled, but there is no formalized instruction. Potentially, much can be learned through direct experience, but what is learned and the pace at which it is learned is determined by the individual. Learning is reinforced in a positive manner. Because members are concerned and care about each other, those who learn new skills are encouraged and praised. Positive reinforcement also comes from the satisfaction of achieving goals: hiking to a lake, climbing to the top of a mountain, or running a river. Negative inducements such as the fear of punishment, or the fear of a receiving a low grade would not be acceptable. Other negative inducements such as the use of "survival" techniques whereby members of the group don't eat unless they snare an animal or find an edible plant would also not be acceptable. Finally, the care of the natural environment would be embraced and all members of the group would work to minimize their impact on the environment. A common adventure trip is two or more individuals working cooperatively for common goals, and sharing expenses, decision making, and responsibilities as equitably as possible. Participatory Nature. The participatory nature of the common adventure trip is a key part of its philosophical foundation. The boundary is crossed and it's no longer considered a common adventure trip when one person organizes, plans and conducts the trip. Autocratic Leadership. The common adventure model involves all members of the group in decision making. Democratic decision making doesn't eliminate the need for a split second autocratic decision in time of danger (because of concern and empathy members of the group show for one another), nor does it mean that the group is without leaders. However, the boundary of common adventure is crossed when leadership is autocratic and the group members do not participate in decisions. Pecuniary. Two underlying values of the common adventure model are low cost and non-commercialized outdoor experiences. The boundary is crossed and a trip would no longer be considered a common adventure when a sponsoring institution or club (if it exists) makes money off the trip. The boundary is also crossed when any one member of the group makes money from the trip. In both cases, the trip clearly loses its non-profit, non-commercial quality. Because of the participatory nature of the trip and an open environment, all members of a common adventure group participate in decision making. Yet, the concept for the trip has to start with someone. One individual must come up with the idea of the trip and then announce it to others. That may be accomplished by putting a trip sheet up on a bulletin board, listing the trip in a club's newsletter, or posting it on an Internet site. Early on, a problem existed for those involved in common adventure trips: what should a person who gets the trip underway be called? If the person who originated the trip was called a "trip leader" then those on the trip might assume that the "leader" would plan, organize and lead the trip. They might also assume that the "trip leader" will be making all of the trip’s decisions and will have the final say on how things are done. In a common adventure trip, however, decisions are made on a consensus basis. Thus, common adventure trip advocates had to come up with an alternative word, a way of indicating that something different was going on. The word which came into general usage was: trip initiator. The trip initiator was the person who came up with the idea, and was the original owner of the trip. But when all the participants got together at a pre-trip meeting, the group took over ownership of the trip. The group might decide to leave at a different time than was originally envisioned by the trip initiator. They may even decide to change the location of the trip originally suggested by the trip initiator. In practice while a common adventure trip is underway, the trip initiator was often the one doing much of the leading, but she involved the group in decisions and was ready to move aside in situations when another leader might be more appropriate. It's a form of leadership quite different than traditional methods, and "trip initiator" became an important way in which the distinction was made. Over the years, two basic types of common adventures have evolved. If the common adventure occurs in the absence of any kind of support, such as in the case of a trip among friends, then for the purposes of this paper, I will call it an “unsupported” or “unassisted” common adventure trip (see also Watters, 1999). When a club or organization provides support in some way, it is termed an “assisted” common adventure. Support may consist of organizing volunteers to take out trips, providing vans or equipment for common adventure trips, providing incentives for trip initiators such as free or low cost equipment, or providing paid staff to initiate trips. Both are legitimate variations or applications of the common adventure model. Let's look at a number of different possible applications of the common adventure model—posed as a series of questions—and determine if they fit within the parameters of the model. Can the trip initiator act as a resource person or a facilitator to help explain and guide the common adventure process? Yes. In fact when you look at the underlying value system, it is desirable to have someone present who helps guide the give and take process which takes place on common adventures. The members of the group may not understand common adventure principles. An individual who can explain the process and serve as an example as the trip progresses is an invaluable resource to the group. Moreover, the personal value system of many individuals may be different from that of the common adventure system. In everyday life, there are not a lot of other enterprises which match the processes which go on in common adventure trips. A little guidance by one or more members of the group can go a long way in making common adventure trips run smoothly. Problems can result when groups don't fully understand how common adventure trips operate. For instance, one member of the group, motivated more by self-interest than the good of the group, might try to over-play his right to self-expression and attempt to get the group to accept his ideas. A trip initiator who is well acquainted with the underlying values of the common adventure system can remind those individuals that independent expression and self-interest are always tempered by empathy for the other members of the group. The democratic processes which occur on common adventure trips are never easy. Jim Rogers (interview, October 6, 1999) who has been involved in common adventure trips for many years says: "It's hard work. To tell you the truth, it's a hell of a lot easier just telling people what to do." Rogers couldn't have said it any better. Consensus decision making is hard and often messy work. It is much easier simply being an autocratic leader and making all the decisions. Yet, by using common adventure principles, by being inclusive, individuals within the group learn invaluable lessons in how to work cooperatively with one another. The process fosters creativity and allows the group to make decisions and take actions which are far stronger than if only one person made them. And, it makes the trip much safer since everyone is involved in the process. The individual who helps facilitate the common adventure process does not necessarily have to be the trip initiator. As people go on more common adventure trips, they will better learn how it works, and as participants on future trips—and equal partners on those trips—they can help facilitate the process. The best trips are those in which everyone knows how the process works and everyone works together. In real life, however, new people are always entering the picture. That's a good sign. It means the common adventure trip program is working, but it also means that one or more individuals must be present to explain, facilitate, and model the process. Can the sponsoring organization stimulate common adventure trips by providing trip initiators? Can trip initiators receive compensation or some kind of tangible benefit such as partial expenses paid or access to free or inexpensive equipment? Yes. If done carefully, a subsidy in the form of compensation for trip initiators is an acceptable application of the common adventure model. Nothing in the description of the model or within its underlying value system runs contrary to the idea of subsidized trips. In fact, common adventure trip programs in institutional, and some club settings, have been subsidized in one form or another since the beginning of the concept. Most college outdoor programs have found it necessary to use paid staff or a pool of volunteers to keep a well-rounded selection of beginning and intermediate common adventurer trips going out on a regular basis. It's worth it to such programs to provide a subsidy. Program coordinators often have a personal value system which matches the values ascribed to common adventure, and having experienced for themselves the powerful benefits of the system, they want to support it in any way they can. However, the common adventure line would be crossed if the staff person was paid from the group's trip funds. That crosses the pecuniary boundary and moves the trip into another model such as guided or instructional. Any support of trip initiators must be done in a non-profit manner, subsidizing them from the organization's general budget. Even though compensation might be provided, any outdoor program staff members initiating trips still do so as participants. They are not receiving compensation to be the trip leader or the guide, but rather to help facilitate the common adventure process. The trip is still controlled and owned by the group and everyone shares in decision making. It's important that an organization not take the compensation idea too far. While it is done, most successful programs minimize providing compensation for initiators as much as possible. Initiators are compensated, if appropriate and feasible, but the major emphasis is still placed on voluntary involvement. An important quality of common adventure trips is that people are willing to give of themselves. A program or club would not want to create a climate in which people feel they are entitled to a tangible benefit if they initiate a trip. People who feel they have to be paid bring far too much negative baggage to common adventures. Ultimately, it's people who freely give of their time and who simply enjoy sharing the outdoors with others that make the best trip initiators. Some institutions do not pay or provide any type of incentive for trip initiators. By having all trips initiated by volunteers and providing no equipment or vans, legal liability is reduced. However, if a regular paid staff member of an outdoor program initiates a trip—even if he doesn't receive any type of compensation—the liability is probably not reduced. More on this later. Can the trip initiator act as a leader? Not as an authoritarian leader, but yes if it's to help the group move toward its goals. In practice the trip initiator is probably the most knowledgeable and skilled person on the trip. She may know the trail they are going to hike or the river that they'll be running. She is, after all, the person who originated the idea for the trip. But a fundamental difference exists between common adventure leadership and other forms of leadership: she involves the other members of the group in making decisions. Her plan for a 10-mile hike might be changed to a 5-mile hike when the group talks it over at the planning meeting and they decide to do something less ambitious. As the trip moves through its various stages, other parts of the trip may change as the group members weigh in. It is a flexible form of leadership, responding to changing environmental and group dynamics. Another fundamental difference with other programming systems is that the trip initiator is ready to step aside as situations on the trip change and a leadership role is more appropriately filled by another individual. For instance, if one or more members of the group are injured, a nurse in the group might then take over leadership and direct the group in first aid and evacuation methods. If the group van breaks down, a person with a strong mechanical background would take over. Yes. The model doesn't rule it out, but in practice it is unusual. The trip would have to be small—probably two or three—and the abilities of each member of the group would be very closely matched. In practice, even in closely matched groups, there is always someone with a little more experience than the others. Although a largely free and open environment exists, the more experienced person tends to assume a bit more of a leadership role. The idea that common adventure trips are leaderless is a misconception, and one in which I must claim partial responsibility. I used the “leaderless” terminology in a mid 1980s paper (Watters, 1985) which, in retrospect, bolstered the misconception. Do trip sizes need to be small? Yes. If you look at the model, participation and cooperation are important aspects of it. As the trip size increases, it becomes less and less practical for the group to work as a team. Everything increases in difficulty: planning, organizing, and shared decision making. When a group grows to critical mass, common adventure becomes impractical. Do trip expenses need to be shared equally? In many cases, yes, but not necessarily. Fairness and equitability are also important aspects of the model. If someone drives their own vehicle, that individual's vehicle will receive wear and tear, particularly if the group is going on a long trip. Thus, the group may decide that the driver will pay less than the others on the trip. The same decision may be made if an individual is providing equipment which will be used by the group. The important part of the process is that the group makes the decision, not the trip initiator or any one person. Everyone is concerned about the driver who is a member of the group. They have empathy for him, and they agree that a smaller contribution to the group kitty is a fair and equitable thing to do. Can training be provided for trip initiators or trip participants? Yes. Since common adventure trip concepts are new to a lot of people, it helps to provide some type of training or education sessions which acquaint people to the system. Training, however, doesn't have to be restricted to common adventure trip programming. It can also be provided in first aid, and safety and rescue and other aspects of outdoor recreation. Any kind of training for participants and trip initiators helps to make trips safer. Yet, caution should be exercised. Individuals, once they have training, may assume more of a leadership role on a common adventure trip which is only natural. Sometimes, however, there is a tendency, particularly among those who have been newly trained, to think they know it all and assume more of an authoritarian leadership style, short circuiting any give and take within the group. Anybody can make mistakes, but newly trained individuals, in their eagerness and inexperience, often make more mistakes. Danger lurks if a common adventure spirit no longer prevails and the trained person has turned into an authoritarian leader. Thus, sponsoring clubs and organizations really need to make sure everyone understands the ideas of fluid and participatory leadership. One of the great beauties of the common adventure trip process is that it provides a moderating effect on over-eager members of the group. Could a sponsoring institution or club require certain types of training of trip initiators before initiating trips? Yes, there's nothing in the model which would prohibit judiciously applied training requirements. On some trips, the sponsoring institution and club might find it desirable to ask people to have some type of training—or equivalent past experience—to initiate certain trips. For instance, a program might want to provide training for people who serve as boat captains on paddle rafts. Or a club may require that the trip initiator—or at least one person on the trip—has first aid training. But an outdoor program should proceed cautiously down this path. Simplicity is also an important underlying value of common adventures. Early common adventure advocates rebelled against excessive rules and certification requirements that some clubs and organizations demanded before members were allowed to go on trips. Common adventures were a refreshing alternative to all of that. Common adventure supporters believed that people could be fundamentally honest in evaluating themselves and their ability. That spirit is still alive and well, and certainly fully present in unassisted common adventure trips: anybody can take out any kind of trip. Complete free and open access of common adventure trips has been tempered somewhat for two reasons: out of concern for participants (another value of the system) and the realities of the legal system. In an assisted common adventure trip program, colleges, in particular, aren't immune to liability, and sometimes a training requirement is instituted out of concern for the participants. Plus, it helps assure program coordinators that resource people are on the trip who can serve as models and help guide the cooperative process of a common adventure trip. It, however, must be done in moderation. It should be flexible, and the group should be given the freedom to devise alternative approaches. Training programs, operating rules, and certification requirements can and do create barriers to participation and run contrary to common adventure philosophy. Could a sponsoring institution or club prohibit or limit the organization to certain types of trips? Yes, common adventure doesn't have to be all things to all people. Nothing in the model prevents clubs or organizations in supporting only certain types of trips: beginning trips only, kayaking trips only, hiking trips only, etc. Small clubs are probably in the best position to allow the greatest amount of latitude in the difficulty of trips, since they are less of a liability target. The situation is different for a college or institution. They are a big target with deep pockets and the possibility of large awards for a plaintiff’s attorney. On a practical level, it is probably not in the best interest of a university to sponsor certain types of high risk ventures such as base jumping or climbs of the avalanche-strewn, north faces of the Alaska Range. If enough high risk activities are sponsored, the law of averages eventually catches up. When an accident occurs, a law suit will result. Even beyond the emotional and financial cost of a law suit, public pressure and political forces outside the outdoor program are powerful and indifferent. Upper administrators who know little of common adventure concepts, and are accountable to the whims of legislators and the general public, may simply shut down the program to avoid any more bad publicity. That does little good to anyone. Mostly, assisted common adventure trips work best for beginning and intermediate trips where the perceived risk is higher than the actual risk—and risks are reasonable. In fact, studies show that they are less than conventional outdoor sports like volleyball, soccer, football, etc. When one gets down to it, providing or facilitating beginning and intermediate activities is the raison d'etre of most organizational and club programs. They are there to enable people with similar interests to gather and recreate together, to introduce new people to the outdoors, and to provide outdoor learning opportunities. Highly experienced individuals with a desire to do risky trips can do those on their own with other like-mind people. They have the skills, knowledge and equipment to do so. That isn't to say that common adventure principles shouldn't be used on advanced trips. In fact, it is on advanced, highly risky trips that common adventure techniques learned on easier trips can really come into their own and provide substantial and life-saving benefits. By using cooperative and participatory decision making skills, an advanced individual can reduce risks in dangerous undertakings. An organization or club is providing an important educational service to those few people who may go on and become pioneers of the sport. Can limits be placed on who participates? Yes, particularly in regard to children. The common adventure model doesn't prohibit some thoughtfully applied restrictions. The central idea of a common adventure trip is that everyone understands what the trip is about and the risks involved. Children can't be expected to fully grasp what they are getting themselves into. They need the guidance of adult leaders. It is possible that children may go along with parents on common adventure trips. Families often want to be involved in trips offered by clubs and organizations. But the common adventure concept becomes muddled when children enter the picture and liability soars. Allowing children on common adventure trips should be approached with great prudence. That doesn't mean that common adventure techniques can't be used with children. Involving them in planning and assisting with the trip helps them learn about common adventure concepts, but overall they need experienced leadership to help them make the right decisions. Limits can also be placed on ability levels. On a kayaking trip on the Middle Fork of the Salmon trip, for example, the trip initiator may ask that those signing up already know how to roll. On a climb of the Grand Teton, a trip initiator may ask that all participants are well practiced in belaying, repelling and self-arrest skills. The group when it meets prior to the trip should discuss pre-established requirements. After hashing it out, modifications may occur, but what is eventually arrived upon will be the result of the group’s collective efforts and an approach to the trip that everyone understands and embraces. In addition, trips may have membership limitations. Clubs may need to limit trips to their members. Schools, because of institutional policy, may have to limit trips to registered students, although, many schools will find that they derive a public image benefit when they are open to the community. Some also derive a financial benefit when community members because of their involvement are willing to donate to program fund raisers. Finally, common adventure trips, particularly assisted common adventure trips, can be limited only to those who are willing to sign a release or waiver form. Carefully prepared releases do stand up in court, and institutions and clubs can do much to protect themselves by requiring everyone to sign them. Some limits, however, are not acceptable. In institutionally supported common adventure trips, it would not be proper for trips to be limited to a group of friends (sometimes called closed trips), nor would it be proper to limit the trip to certain racial or ethnic groups. To do so violates the philosophical foundations of concern, openness and empathy. Can the sponsoring club or institution make money from a common adventure trip? No. If the institution or club is making money off a common adventure trip then it violates the underlying value of remaining non-commercialized. However, a club or school can be reimbursed if there are legitimate trip expenses. An fair and equitable sharing of expenses is a tenant in common adventure trips, and if the sponsoring organization has incurred some expenses, then it's certainly permissible that those expenses be reimbursed. The organization may have a pool of equipment which common adventure groups can rent. But the group has a free choice. If they decide they can rent equipment elsewhere for less, they should be free to do so. Can a member of the common adventure party make money from the trip? No. If someone on the trip makes money, then it crosses the pecuniary boundary of a common adventure trip. In the interest of fairness, the group may decide to pay an individual for the use of their own personal boat or other equipment needed by the group, but it is a decision that is made by the group, not one individual. It should be done with great care since a payment to a group member is not acceptable to some land management agencies and is beginning to step into the territory of a guided trip. To avoid the problem, it may be better to simply rent the equipment from a third party - or if renting makes the trip more expensive, the group may decide to take up donations among themselves and present the individual with a gift or gift certificate at the trip's completion. Again, the tenant of fairness and equitability comes into play, but donations provided by trip members would be entirely voluntary and would not be a part of the trip's expenses. Can a club charge a membership fee and still run a common trip program? If, however, dues were included as part of a trip, or money from a particular trip went to the club's treasury, then the pecuniary boundary is crossed and the trip is no longer a common adventure. Some outdoor educators may look at the various applications of the common adventure model described above and may find that it does not match their understanding of the concept. There are two reasons for the discrepancy. First, no one has carefully defined the model, and second, outside factors have altered perceptions of the original model. Over the last quarter century, our understanding of the model has been shaped by a large degree by outside influences, influences which also shape and alter other outdoor programming models. When one looks at common adventure literature, it becomes obvious that the single most influential factor is legal liability (Watters, 1999). In particular, liability has had an pervasive influence in institutional settings. For the sake of this paper, I am introducing the term "filter" which describes the process by which models are changed by outside influence. Filter is a term borrowed from computer database programming. Databases when placed under the influence of a filter are altered in a manner in which only certain information or data is allowed to pass through. Some of the most restrictive applications often associated with the common adventure model were created by the legal filter. Those restricted applications include: (1) no one on the trip can be paid by the institution or organization; (2) all members of the trip had be relatively close in their ability levels; (3) volunteers couldn't be trained by the program, (4) all members of the group had to pay exactly the same; (5) no age or other types of limits could be applied, (6) no outside guidance could be provided by the institution or club; and, (7) no one could assume a leadership role. All of these restrictive interpretations came not from the model itself but from the legal filter. In particular, one operating procedure that came directly from the legal filter was the suggestion that if a staff member of the outdoor program was on a trip, she must not volunteer any information to other members of the group. This procedure was a legal defense mechanism that was recommended in a liability paper prepared for an outdoor program (Soule). It meant that an outdoor program staff member on a raft trip could not help fellow boat members improve their paddle strokes or help them learn how to read rapids. And if their boat just happened to be heading for the biggest recirculating hole in the river, the staff member couldn't warn the others of their danger. The suggestion was, of course, ridiculous. Since concern and empathy are a part of common adventure philosophy, it ran counter to the principles upon which the system was built. It is, however, a dramatic example of how much influence liability played, so much so that some procedures went beyond common sense. A lot of the dogma connected with common adventure—and there was plenty—came from the legal filter. It was the legal filter which required an exact equal sharing of expenses, instead of equitable sharing. It was the legal filter which said that an institution couldn't subsidize common adventures by providing compensation or incentives. If a regular outdoor program staff person took out a trip, she had to do it on her own time-off. Common adventure trip advocates preached these and other procedures, and if programs tried to employ other less restrictive methods, they were reproved. Jim Rennie describes in a 1984 paper how people went to great lengths to satisfy common adventure dogma created by the legal filter. Those of us involved in common adventure trips could have saved ourselves a lot of headaches had we been careful to look at the model and how the legal interpretations were making it almost unworkable in an institutional setting. The first indication that there was something wrong with the way the filter was being applied was in a common adventure law suit involving the Idaho State University Outdoor Program. The director of the program was on a mountaineering trip in which a member of the group was injured. The individual sued the university (Walsh v. Idaho State University). When the university attorneys produced evidence that the director was not being paid during the trip, the judge ignored it. The director's job extended beyond the normal 8 to 5 working day. The case was won by the university, but it was won for other reasons, a knowledge of common adventure trips and the volunteer nature of the trip being high among them. What the court case meant was that, at least in an institutional setting, compensation of trip initiators does not make any difference from a liability standpoint. (It might, however, make a difference in a club situation where nobody associated with the club gets paid and all the members of the club have jobs unrelated to the outdoor education field.) If it doesn't make a difference, why have it? Yet, because of dogma associated with the concept, it continues to be an assumed common adventure requirement to this day. What each program must do, particularly those that are part of an institution, is to start with the model, talk to the institution's attorney, and come up with a way of running common adventure trips which remains true to the model’s basic philosophy and yet meets the liability needs of the university. In other words, apply the legal filter, but apply it rationally. Because of its voluntary and participatory nature, common adventure does afford an outdoor program the lowest form of liability—and at the same time provides the highest intrinsic worth to its participants. I might venture to add that because of participatory safety, it is also among the safest. If a common adventure trip program were an unsafe and dangerous endeavor, we would know now after 30 years and tens of thousands of participants. The other filter that has had a major effect on how the model is applied is the educational filter. Providing volunteer training, informational brochures and videos are some of the ways in which outdoor programs have taught others about the concept. But the best way to learn about the concept is for people to directly participate in common adventure trips. Through common adventure trips, participants learn about cooperation, teamwork, participatory decision making—all valuable skills in everyday day life. Some of the early supporters of the common adventure concept advocated putting up a trip board and suggested that with little encouragement, people would start initiating trips. The program would prosper, largely stimulated by the participants themselves. That might have been possible in some places where there was a pool of experienced or semi-experienced people who were willing to give of their time, but it wasn't feasible in most areas. As it turned out, even in areas where programs could draw from pools of potential trip initiators, the concept still needed nourishment, stimulation and support to flourish. Consequently, some outdoor programs have developed volunteer programs and have provided training and other incentives for trip initiators. Others use regularly paid staff members to initiate trips to make sure a full range of activities is offered. These applications of the common adventure model are all a form of filtering. As mentioned earlier, outdoor programs need, however, to apply the educational filter judiciously. If trip initiators have the attitude that they are owed incentives or compensation, then much of the voluntary spirit of common adventure is lost. It is a delicate balancing act on the part of the program coordinator: providing a system by which a common adventure program can prosper while retaining its overtones of unselfishness and generosity. The common adventure model may be effected by other filters. Normally the legal filter is the primary one and most institutional administrators are happy when they feel liability concerns are addressed. However, administrative operating procedures at some universities, unrelated to legal concerns, may require certain ways of doing things and an administrative filter will be applied. For instance, some colleges may require that all student activity programs—including the common adventure program—are for students only. In addition to administrative needs, the filter which is having the most effect on common adventure programs in the United States and Canada is the land management filter. Land management agencies are increasingly regulating nonprofit groups. Usually, as long as the trip size is small and no one is receiving compensation, common adventure trips can avoid regulation. But not always. Rightly or wrongly, the use of school vans may signal to the agency that the group, even though it is organized as a common adventure, is receiving too much assistance from the institution, and the group may be required to obtain special permits (Interview with Jim Rogers, October 6, 1999). Until the rules are better defined by agencies—or until court cases clarify the rules—institutions may have to apply a land management filter which limits transportation to private or commercially rented vehicles when traveling to certain areas. Land management agencies may have other requirements which will alter the way in which trips are conducted and the way in which the filter is applied to the common adventure model. Moreover, because different agencies have different ways of defining non-commercial groups, the land management filter can not be applied in consistent manner. Finally, there is the filtering effect of the program's own longevity and legacy. For whatever reason, when any young outdoor program is shut down, it is a loss, and it is felt. But the loss of a long-established program is even more deeply felt. As a program establishes a legacy, and many people over the years have benefited from it, the onus is on the program's director not to expose the program to undo risk. That's particularly the case in institutional settings. If an accident occurs on a guided trip, the guide is faced with bad publicity, but he has insurance to pay for the liability suit. And although a liability suit extracts a high price, he remains the owner of the company, and as owner, he can continue to operate. But if an accident occurs in an institutional setting, things are different. 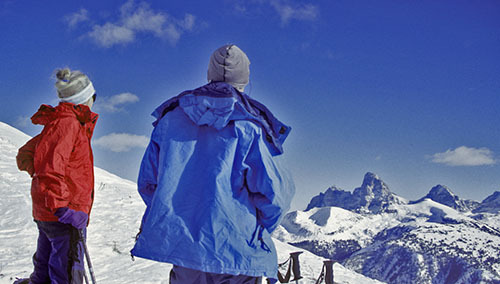 Unlike the guide, an outdoor program coordinator doesn't own the company, and his program can be shut down by powers over which he has little control. Thus, often older institutional programs tend to apply a legacy filter which results in a more conservative approach to trips. The reason we need to look at common adventure or something similar is because of increasing commercialization in the outdoor field. We expect to see commercialization in the outdoor equipment and clothing industry. We expect to see it in the guide industry. Commercialization is, of course, the way they attract business and make their livelihood, but should non-profit organizations and clubs follow suit? Certainly, those of us in institutional programs must produce revenue to survive. I would have not survived in my work at Idaho State University for 29 years had I not produced income. It was the fact that we brought in dollars that helped assure our existence. But in our efforts to survive, I think that sometimes we lose sight of the true nature of the outdoor experience. Taking trips into the outdoors ought to be done simply for the satisfaction and enjoyment of the outdoors. Do we also need to turn the outdoors into a profit making machine? Is it necessary to build huge programs with huge budgets? Must we attract participants by using Madison Avenue ad campaigns? Is it necessary to transform the outdoor experience into something akin to a Disneyland experience? I see more and more evidence that the non-profit outdoor education field is increasingly dominated not by outdoor educators but by money changers. It not too late to examine what we do and how we do it. If we don't pay some kind of attention to common adventure ideas or something similar, then down the road we'll look back and realize we've lost the true essence of the outdoor experience. Independence & Personal Responsibility. Independence and the ability to freely express oneself are central concepts in Grimm (1970, 1973) and Hilbert's (1973) earliest papers. The idea of personal responsibility is assumed early on, but by the mid 1980s, it appears in descriptions found on common adventure sign-up sheets (Watters, 1986). Simplicity. Grimm and Hilbert (1973) were great believers in a simple approach to the outdoors and warned that excessive rules and bureaucracy create barriers that stifle participation. Ownership. Ownership is not a term that was used in the early literature, but the participatory nature of common adventure trips, advocated from the beginning, creates a high level of ownership among of members of groups. Concern, Fairness, Empathy and Openness. These four basic qualities are assumed in common adventure literature, but it has come time that they are specifically included in its philosophical foundation. They are fundamental to the process which goes on in common adventure groups. If individuals in the group do not strive for concern, fairness, and openness—and do not have empathy for one another—then cooperation and teamwork, which are often stated as values of common adventure, will not occur. Self-directed Learning. Grimm and Hilbert (1973) were big advocates of learner-controlled instruction on outdoor trips and coined the term "common adventure learning" to describe it. Cooperation and Teamwork. The idea that individuals with similar interests can cooperatively work as a team—yet allow for individual differences—is central to the common adventure system. The term "cooperative adventures" was used interchangeably with "common adventures" by Grimm and Hilbert to describe the type of activities offered by their programs. Interactively. Grimm or Hilbert (1973) did not use the word interactive, but they described an interactive process in which all individuals shared responsibilities and contributed to the trip. Physical Activity. Grimm and Hilbert (1973) emphasize that common adventure activities should be physical and non-mechanized. Low Cost. Low cost outdoor activity has always been a priority of common adventure programs and it was advocated in early papers by Grimm and Hilbert (1973) and Mason (1975). Non-commercialism. Although, the terminology wasn't used, the emphasis in common adventure trips was always one of keeping costs low. That made it possible for many people—no matter what their income level—to be involved in outdoor activities. In common adventure programs, the sponsoring institution received no monetary benefit, resulting in trips that were as far removed as possible from commercialism (promotion, advertising, and hype) that was associated in one degree or another with other kinds of trips. As the outdoor field has become more commercialized, it has become ever more important to include non-commercialism as a part of the underlying value system of common adventure. Horizontal Structure. Although they didn't use the term, Grimm and Hilbert (1973) essentially described a horizontal framework under which common adventure trips operate as opposed to an authoritarian, top-down operating approach. Emphasis on Democratic Ideals. Group participation in decision making and democratic principles are evident in the early common adventure papers Grimm and Hilbert (1973) and Mason (1975). Positive Reinforcement. Grimm (1970) drew upon the ideas of educational theorist B.F. Skinner who promoted positive reinforcement in education. Participatory Safety. The term participatory safety wasn't used by Grimm and Hilbert, but it is the natural outgrow of other values of the common adventure system. When the emphasis is placed on participating in all aspects of the trip, when individuals have a high degree of ownership, and when individuals have empathy for one another, participatory safety results. Care of the Natural Environment. The care of the natural environment is an historic and fundamental concept advocated by early proponents of the common adventure system (Grimm, 1970). 1 Some other examples of clubs using common adventure concepts in trip and event offerings include Dallas Down River Club, Elbow Valley Cycle Club (Calgary), and Idaho Alpine Club. Grand Canyon National Park (nd.) [Non commercial criteria for Colorado River trips]. Rennie. J. (1985) Uncommon adventure. In Miles, J. C., Watters. R., Proceedings of the 1984 conference on outdoor recreation: A landmark conference in the outdoor recreation field (pp. 81-85). Pocatello: Idaho State University Press. Watters, R. (1986) The Outdoor Programming Handbook. (p. 63). Pocatello: Idaho State University Press. Watters, R. (1998) Common Adventure. [Informational sheet prepared for Idaho State University Outdoor Program staff and participants. Watters, R. (1999). Revisiting the common adventure concept: An annotated review of the literature, misconceptions and contemporary perspectives. Unpublished manuscript. Idaho State University, Pocatello. Watters, R. (1999, October 6). [Unpublished interview with Jim Rogers, Director of Illinois State University Outdoor Program]. Watters, R. (1999, October 7). [Unpublished interview with Steve Leonoudakis, Director of Outdoors Unlimited at University of California-San Francisco]. Watters, R. (1999, October 20). [Unpublished interview with Dan Geiger, Coordinator of University of Oregon Outdoor Program].